So, here my thoughts and opinions on the topic of vintage and modern drums. There’s something inexplicably cool and desirable about vintage gear. It looks cool, it sounds great, and it always impresses people; producers love the old school stuff. Some argue that old gear may even be better made than their modern counterparts. Yet vintage can come at a price; but is it justified? Modern drums, by contrast, benefits from tried-and-tested manufacturing know-how, technological innovation, sound awesome too. Moreover, modern drums offer more in terms of variety, and has made available better quality drums available at more affordable prices. As an outsider to this world of vintage drums, I wanted to explore, learn, and then compare the differences between vintage and modern drums. What does vintage mean? The term generally refers to something of quality from the past that is back in fashion or is popular. For instance, certain drums from the 50s, 60s and 70s fall in this category. However, drums from the 80s and 90’s might not be qualify (irrespective of age and quality) as they’re not popular. With this in mind, what is this popularity dictated by; the players that played them? 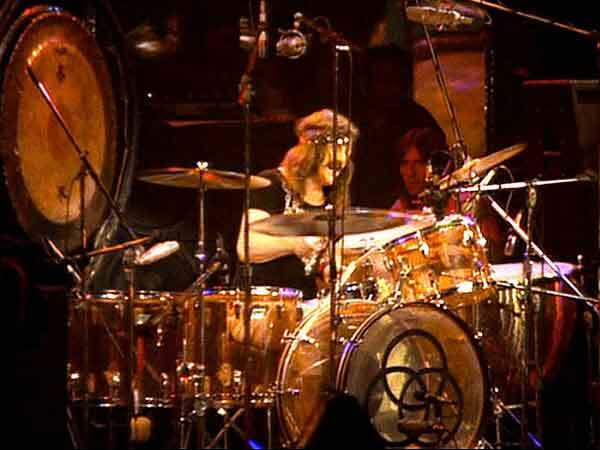 Ludwig was popularised by Ringo and Bonham in the 60s and 70s respectively. Conversely, what makes stuff from the 80s less popular? With players such as Weckl or Porcaro, surely the drums they used must qualify, no? 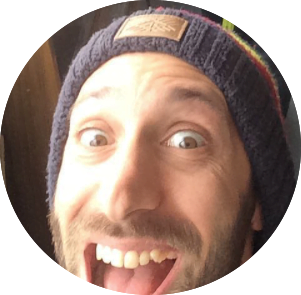 Apply the same logic to the 90s and popular players from this decade, and project into the future… Will Benny Greb’s or Jojo Mayer’s gear be considered vintage in the future? Lots of questions, I know, and yet in my mind, recording technology (and trends in production) in each decade one has been a big implication in what we hear from vintage drums. For the sake of this article, let’s stick to a vintage period that’s usually priced higher in for sale drum forums: 50s to the 70s. As mentioned above, vintage drums definitely have a particular vibe, and not only do they sound good, look stunning and have their individual charm. Yet, it’s important to research and know the right (or best) decade for the brand you’ve got your eyes on in terms of sound, build quality, hardware, etc. And whilst this means you might pay a premium price, the drums are likely to maintain, or increase in value. Back in the day, things were built to last! Conversely, depending on how well these drums have been looked after, they may be fragile and require lots of upkeep. As a result you may want to keep them for studio use only. Similarly, original spare parts may be difficult to get, which also means that not having all original parts brings the drums’ value down. It’s worth noting that early manufacturing processes in the defined period may not have been as consistent, i.e. drum shells may not be fully round, nor the bearing edges be completely flat. On a similar note, and not wanting to go into too much detail, is wood quality. Mature woods are denser, which will affect the sound and character; so were woods used back then allowed to mature? Last but not least is the issue of “pre-international” drum sizes. 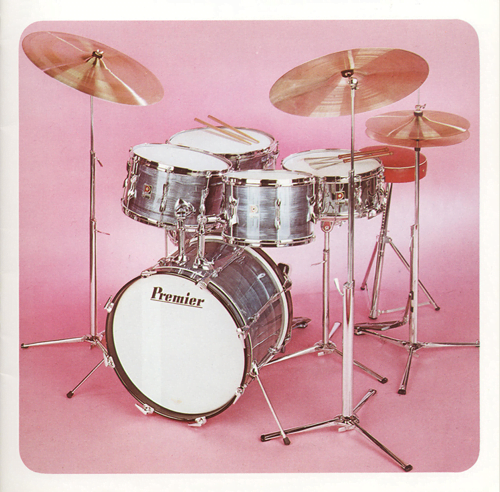 Prior to standardised drum sizes, some manufacturers, such as Premier, John Grey and some Gretsch kits, made their drums with slightly oversized diameters until the late 60s. This difference in size means that you need to purchase pre-international heads, which companies like Remo still make. You can find more information on the Not So Modern Drummer website here. When considering a modern set of drums, innovations in both manufacturing and the instrument’s development have benefited the needs of players of all levels and budgets. The general consensus these days is that entry-level kits from the top brands are built just as well as, or much better than, their vintage pro-level counterparts. Some of these innovations have meant consistent modern shell construction, e.g. roundness and well-cut bearing edges (of which there are more options to suit more styles). 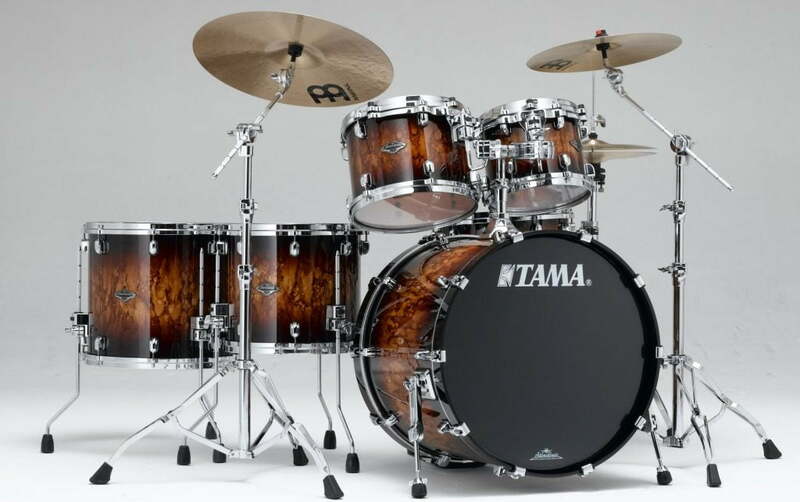 Similarly, sound palettes have expanded thanks to experimentation with more woods, such as bubinga, oak, mahogany and new ‘sandwich’ combinations, such as the revolutionary Tama Starclassic Performer Birch / Bubinga. Furthermore, tiny details such as new resonance-giving tom mounts, or tension rods with higher thread count, like Drum Workshop’s True Pitch, give players more control over their sound. Yet, unless your budget is very high, modern drums, could be argued, lack individual character. With some of the large drum companies now being owned by conglomerates, manufacturing is outsourced to the East in an effort to reduce costs where shells are manufactured for several brands under the same roof. And whilst this isn’t necessarily a negative, labour force know-how and craftsmanship, could be argued, are traded in for cost-savings. If you don’t want to compromise on modern manufacturing but still want that vintage vibe, look and sound, some manufacturers offer a solution to that. Companies like Gretsch’s Broadkaster is a re-issues of their classic formula, whilst others aim to recreate classic sounds of yore like Canopus’ Neo Vintage line all of which benefit from old school specs, but with modern know-how and technology. Whether you’re in the market for a drum set, be it vintage or modern, at the end of the day, it’s the way it sounds to you that really matters. Just because a vintage set of drums is “a must”, unless you’re buying a collector’s piece, if you don’t like how it sounds, what’s the point? Same applies to a modern set! 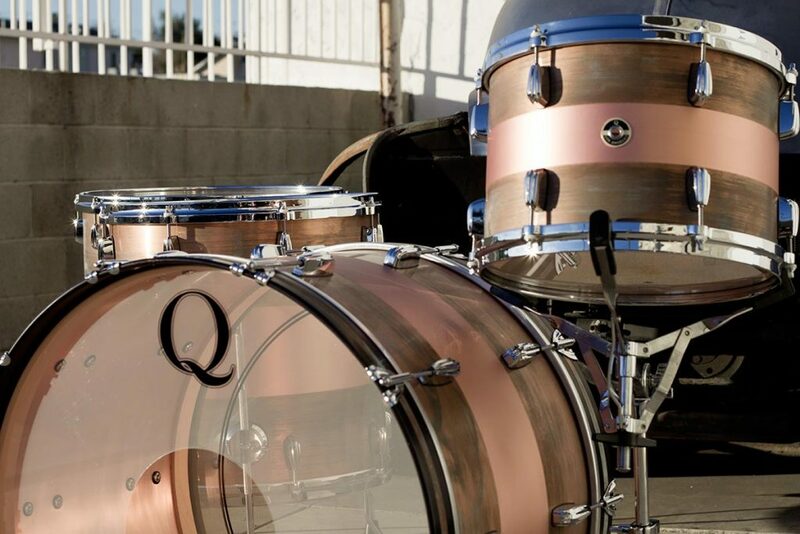 And if you’re after something that’s a bit more niche or custom, then smaller and independent companies like Q Drum Co. (USA), British Drum Co. (UK) might offer what you’re looking for. For vintage drums in the UK, contact David Jeans at Orange Tag Drums. And for all your modern drums needs in London, visit Bell Percussion!